Kay’s Café makes you feel right at home with local fresh produce and products. Delicious daily lunch special and hard to resist deserts make this a great stop for neighbors or highway travelers. Open Tuesday-Wednesday, 11:00 am – 2:00 pm for lunch; and Thursday-Friday, both lunch and dinner with 11:00 am – 2:00 pm and 4:30-8:00 pm. 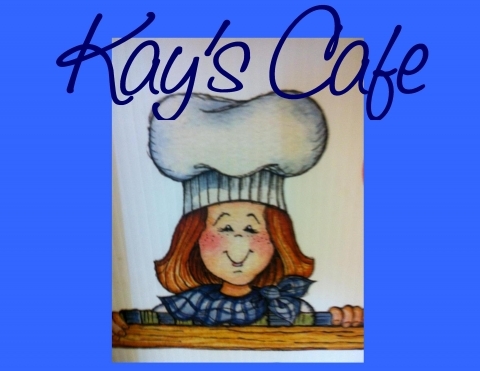 Kay’s Cafe is available for parties, meetings, get-togethers, etc. We have deli & dessert trays, casseroles & meals to-go. We are a full service caterer- from sandwiches to formal dinners. We use as much local fresh produce & products as possible! Daily specials as low as $4.95. Gift certificates available.